Sodium Alginate is a natural polysaccharide product extracted from the cell wall of brown seaweed that grows in cold water regions. The natural function of alginate is to give flexibility to the seaweed, so it is common to find higher contents of alginate in species found in troubled waters. Established in the year 1984 at Mumbai (Maharashtra, India), we “A. B. Enterprises” are committed in manufacturing, exporting, wholesaling and supplying a vast assortment of Amino Acid, Agrochemical, Electronic Chemical, Metal Cleaner, Detergent Chemical, etc. The products offered by us are appreciated for the features like longer shelf life, effectiveness, precise pH value, purity and accurate formulation. Our complete product array is widely used in paint, chemical, pharma, detergent, food, leather and textile industries. These products are processed using premium quality chemical compounds and modern technology. 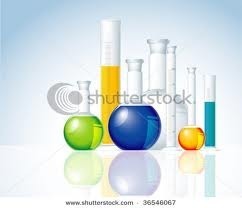 The chemical compounds and ingredients used in the processing of these products are procured from the reliable and trusted vendors of the industry.